Protect your food and your guests’ experience. Pests ruin the guests' experience and contaminate your food. That’s why we take a proactive and scientific approach to pest management in food establishments. Keep your restaurant running smoothly. With Thorn’s proactive restaurant pest control services, you can make sure your restaurant is pest free and remains that way. 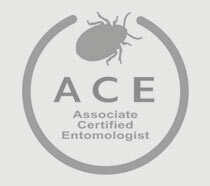 From cockroach inspections and removal to pest control monitoring services, we’ll keep your restaurant full of happy guests instead of pesky pests. 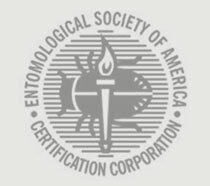 Proactively prevent pest infestations and protect your reputation. Thorn delivers the best restaurant pest control and we do this by proactively inspecting, monitoring, and finding potential issues before they become a problem. We don’t simply apply pesticides, we partner with you and help you create a pest free restaurant. We create a pest free environment by sealing up the restaurant, looking for sanitation issues that are conducive to pests, and monitoring for any pest activity. Protect your reputation, give you peace of mind, and protect the health and experience of your guests. Our proactive restaurant pest control services save you money over reactive programs. Because of their conducive environment, restaurants are often targeted by pests. Insects and rodents contaminate food and ruin a guest’s experience. Not only can they can quickly damage a restaurant’s reputation, but they can also be an issue with health inspections. Restaurants should have zero tolerance for pests. We are here to help prevent infestation and protect your restaurant. We have restaurants with $65 a month services to restaurants with $400 a month services.